Tortuguero offers something for all tastes and levels of activity. There are several decent restaurants in town. You can get anything from traditional Costa Rican dishes (casados) like rice and beans with chicken, fish, steak or a pork chop and salad to Caribbean dishes cooked with coconut milk. Some restaurants offer excellent pizzas and lasagna (even made with heart of palm.). There are also restaurants that can cater to various dietary restrictions. Most dishes are about $6-10 including a natural fruit drink. We have potable water in the village but bottled water is available in all the local general stores (pulperias). There is a bakery right next door. Apart from the famous waterways, the Tortuguero national park also offers a visitor's center and a walking trail which is a short walk from the village. They have one-day tickets available for $15 (kids 6-12yr. pay $5 per day). Canoes and kayaks are available for rent in the village. The ocean is too rough to swim most of the year but can sometimes be pleasant during the traditionally calm times of the year during Feb-April and Sept-Oct. Ask the locals about the current conditions. You will need to bring dollars or colones sufficient for transport, tours and lodging to Tortuguero. There are no banks or ATMs here and traveller's cheques can only be changed locally with a hefty commission charge. Only the souvenir shops and general stores will take credit cards. They will sometimes give you cash for a ten percent commission on your credit card. 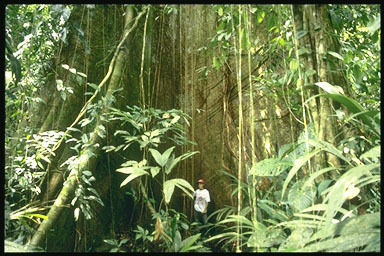 Fantastic birdwatching can be done on a boat tour or a rain forest hike. Get close to the wildlife! 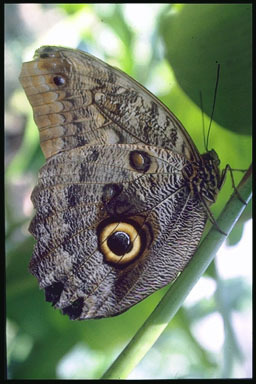 Costa Rica has some of the most beautiful and varied butterfly species in the world! There's so much to see and do in Tortuguero!